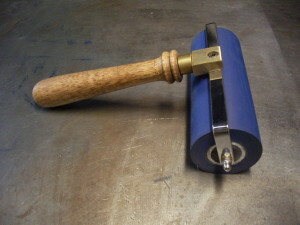 All our brayers and spindle rollers are hand made from the highest quality materials. 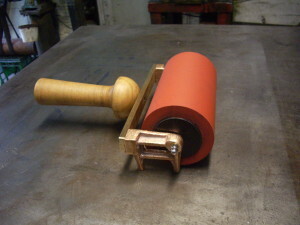 There are 3 basic styles of brayer. Cast Aluminum frame with a 60mm diameter roller, Bronze cast/Brass with wooden handle, which takes an 80mm diameter roller and Chromed steel frame with wooden handle and 60mm diameter roller. 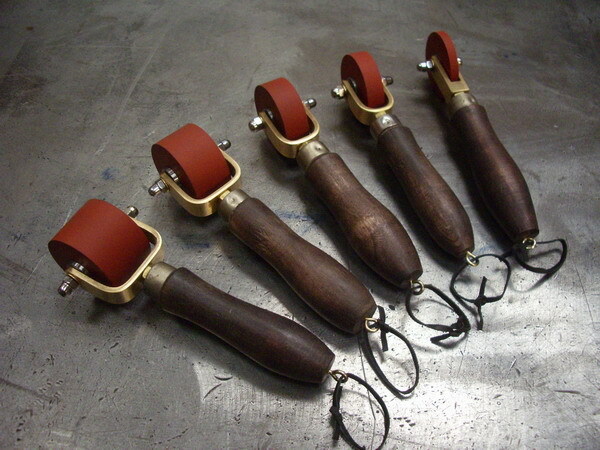 There is also a brass miniature series with wooden handles. 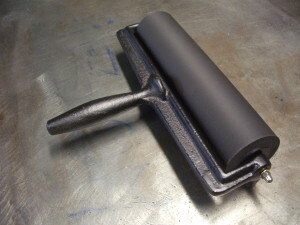 The Aluminum framed brayers are cast at a local foundry in Collingwood and they are the lightest of the range. The wooden handles are hand turned here in Melbourne from mainly Victorian Ash and are sealed with bees wax to give them a natural feel and appearance. I have listed 3 spindle rollers here including the 275 diameter model for a full sheet/one roll application, but of course we can custom build these to suit special requirements.We also make wooden stands and boxes to accompany rollers and the spindle stands can be wall mounted. 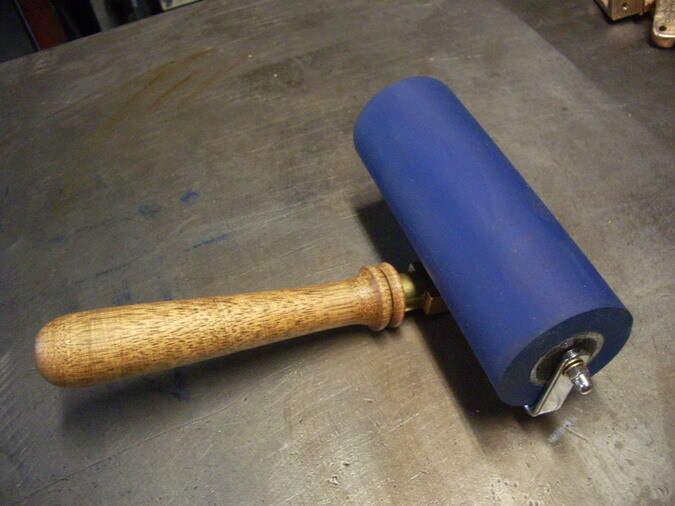 Most rollers and brayers can be restored, if mechanically they are not too damaged. We have restored some beautiful old rollers for many of the print workshops around Australia. All rollers are coated with a Nitrile rubber and have a Durometer range from 20(soft) to 40, which is very hard. 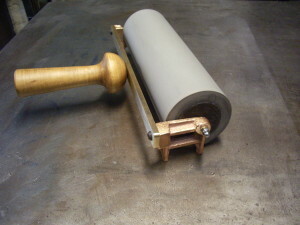 Call me before you place an order so we can discuss the type of work the roller will be subjected to. All sizes here are in mm and all prices are Recommended Retail including GST.